Audio, Video and Lighting or (AVL) can seem complex, so we start with an initial consultation to discuss your vision. We then, whenever possible, complete a site visit. 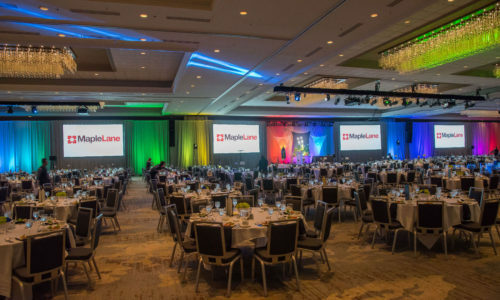 This allows us to gather venue logistics such as room dimensions and technical aspects. Budget recognition is very important during the event concept and planning process. 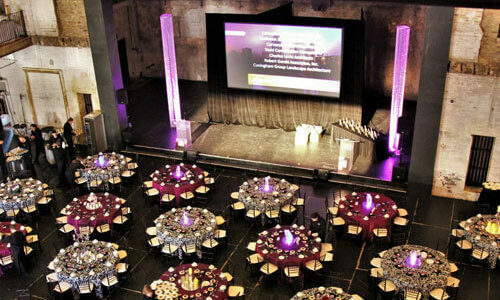 Our team will match the necessary technology to the venue logistics, size of audience, and budget. 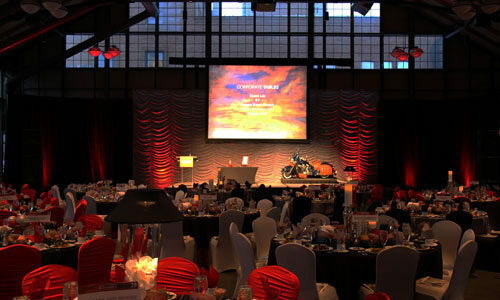 A proposal is then created utilizing room design software drawings to create a superior experience for your attendees. The most important person in this partnership is the attendee. Their experience is our main focus. 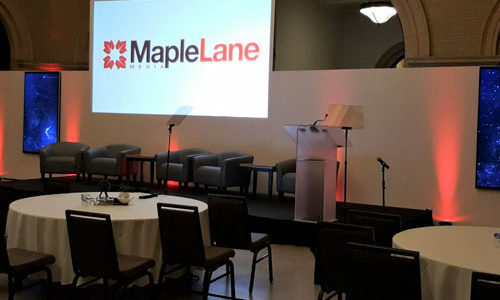 The attendee sitting in the back of the room must have the same visual and audible experience as the person in the front. 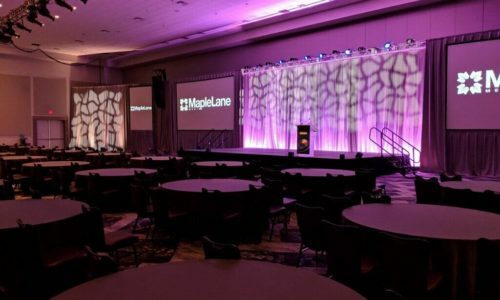 Maple Lane Media prides itself on utilizing the latest technology to provide an experience they won’t forget. Lets start with a phone call or face to face meeting. We want to hear your vision and thoughts on what you feel makes a great event. Call or email us today. Unique Spaces offer fun lighting and projection options. 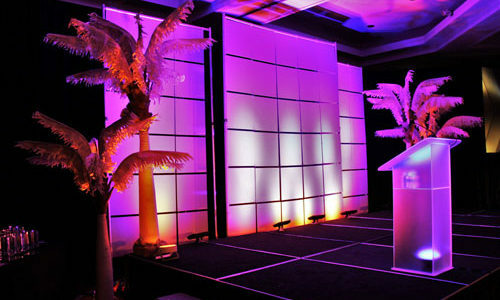 Proper stage panels and lighting can create your custom event atmosphere. 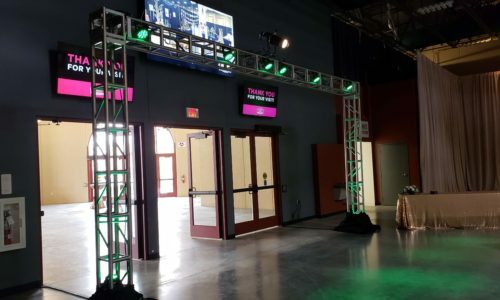 A custom stage wall built on location. 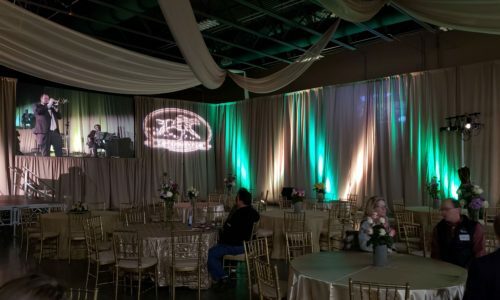 Using a GOBO light for the client logo on the rear drape. Adding motion lights can transform a room into a vibrant experience! 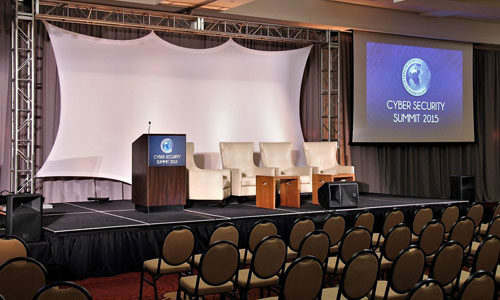 Let us customize your stage and create the environment suited for your event. 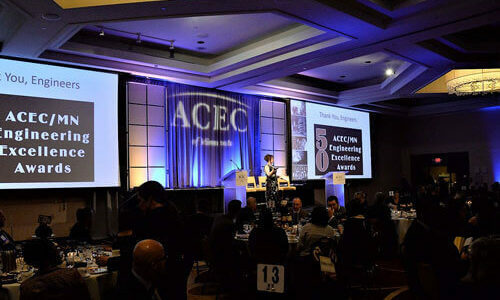 This event required a lot of drape and décor lighting to bring the client’s vision to life. Using color schemes can maximize your message. Want to chat about an upcoming event? Or just ask a few questions about AVL? Please feel free to contact our team via email, office phone or cell phone. Allow us to help lighten the stress.